If there is anything missing from the documentation or you have a general question, please ask in the Facebook Group, which is available to all InvoiceSync users. Go to the Settings -> Source (Infusionsoft) Settings menu option. 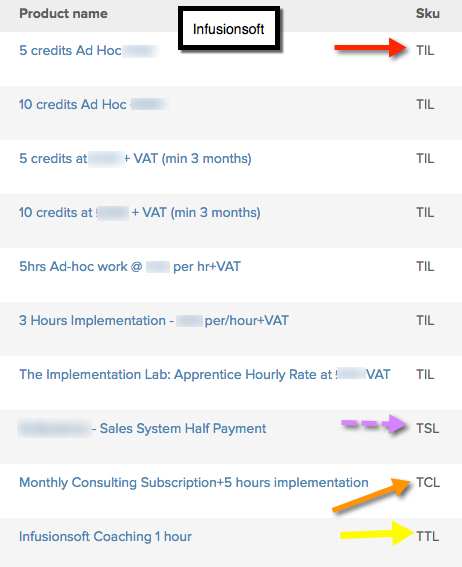 Then click on the “Click here to authorise Infusionsoft” link. 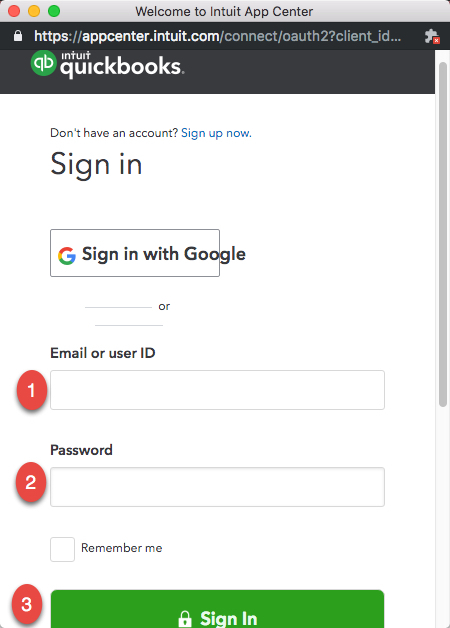 If you’re not already signed into Infusionsoft, the standard Infusionsoft login screen will appear – you’ll need to enter your Infusionsoft ID and password. 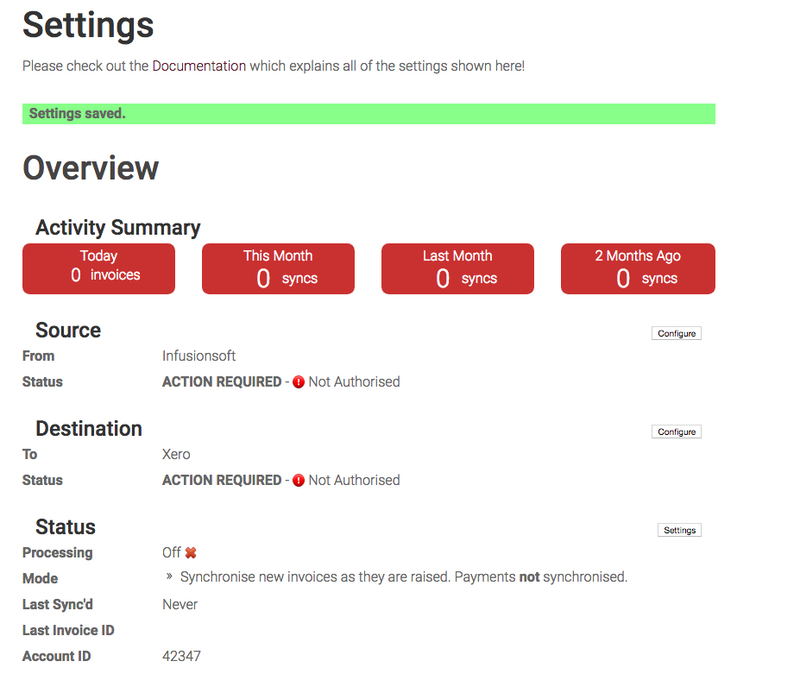 You’ll then see an authorisation screen where you’ll be asked to select your Infusionsoft app and grant authorisation for InvoiceSync to connect. (right now, you’ll need to close the authorisation tab when complete and then refresh the Settings screen that you go back to). You can watch a video on connecting Infusionsoft by clicking here. 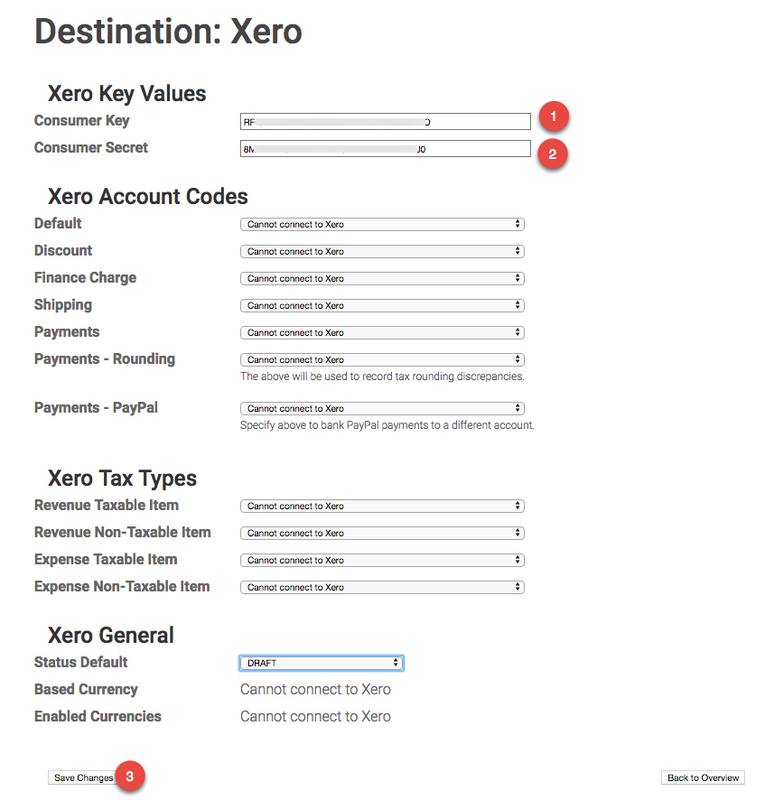 Once you’ve refreshed the Settings screen, you must confirm the currency that your Infusionsoft application is using, and select the appropriate option for Tax Handling and Finance Charges, then click the Save Changes button. Click on the “New App” button in the top right-hand corner of the page, which will open a pop-up window. 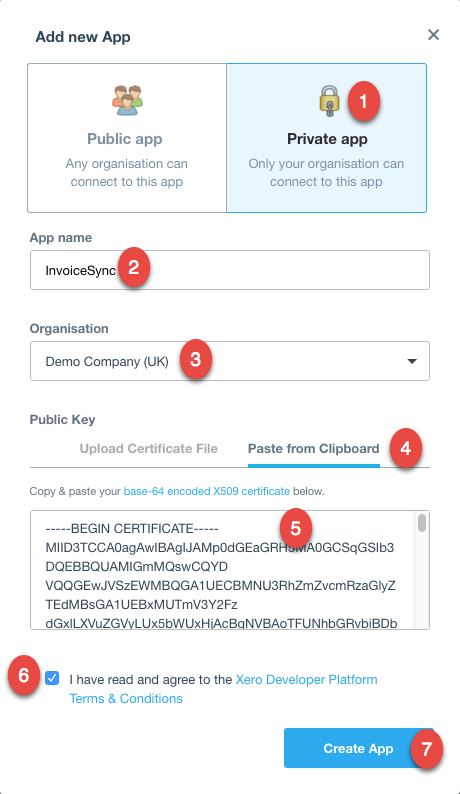 Make a note of the OAuth Credentials provided on the right hand side of the screen – you’ll need the Consumer Key and the Consumer Secret in the next step. Back in InvoiceSync, Go to the Settings -> Destination Settings menu option. Enter the Consumer Key and Consumer Secret and hit Save Changes (before you select any of the other options). 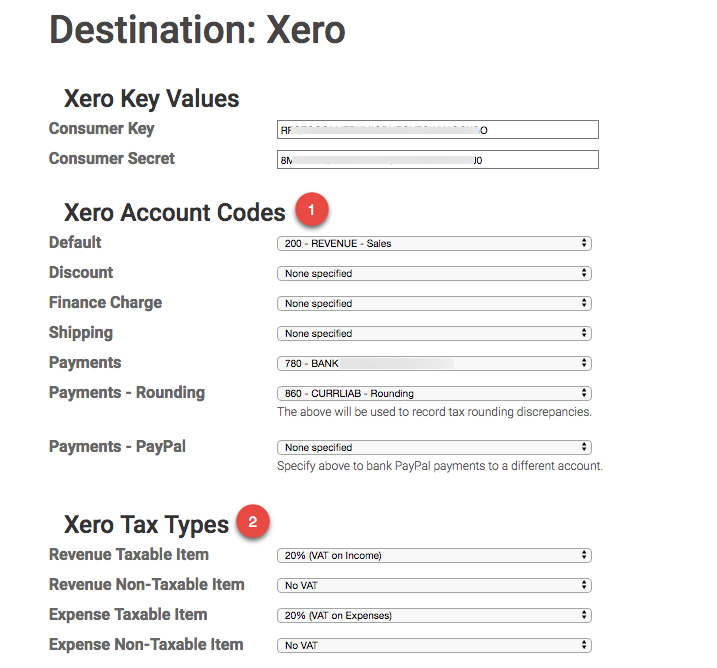 Until you’ve clicked Save, all the fields will show as Cannot connect to Xero. Once you’ve saved the Consumer Key and Secret, the dropdowns will show None Specified. Optionally, you can also specify different account codes for discounts, finance charges and shipping charges. If you leave them blank, those line items will be recorded against your default Account Code. 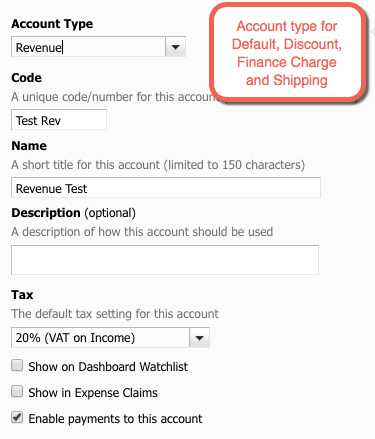 IMPORTANT: you can only have accounts of type REVENUE as the Default, Discount, Finance Charge and Shipping account codes. If you want payments to be synced as well, you will also need to select the account for payments. IMPORTANT: Please note that Xero will only allow payment if the account you have chosen has the “payments to this account” option enabled and is of type BANK or CURRENT ASSET for both Payments and Payments – PayPal account codes. Next, select the tax code to use when applying sales tax to taxable invoices. This is taken directly from your Xero application. In our example above, it is 20% for taxable items. 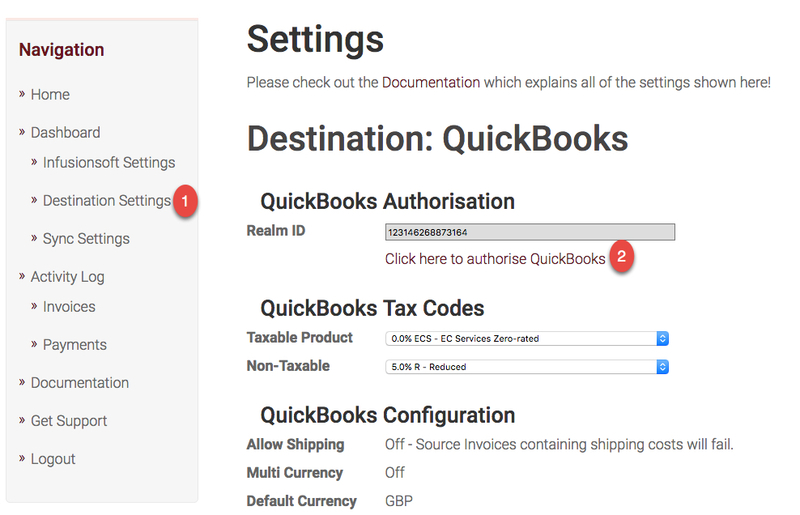 Finally, select the status that all new invoices will be created with – either Draft, Submitted or Authorised. Beware – if you select Authorised, it will not be possible to amend or delete the invoices that InvoiceSync creates, you will only be able to void them. 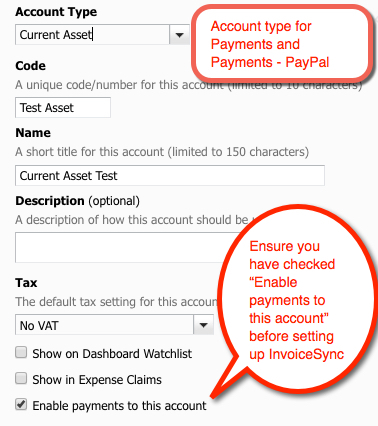 If you want InvoiceSync to also sync payments, you have to set the status to Authorised, as only Authorised invoices can be marked as paid. PLEASE NOTE: The product description in Xero will be the Infusionsoft product name. Go to the Settings -> Destination Settings menu option (or on the Dashboard, click on Configure next to QuickBooks). 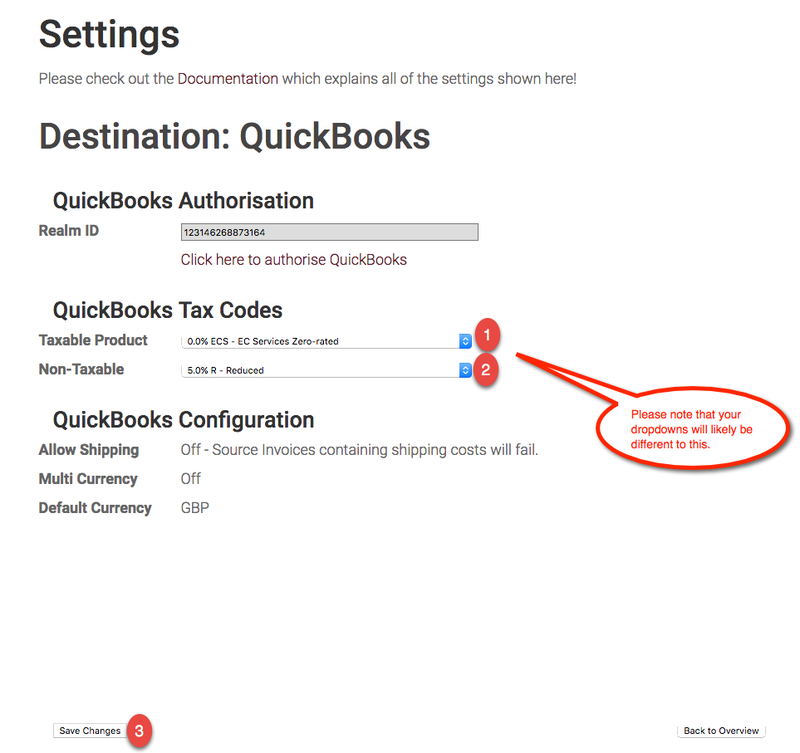 Then click on the “Click here to authorise QuickBooks” link. If you’re not already signed into QBO, the standard QBO login screen will appear – you’ll need to enter your QBO ID and password. 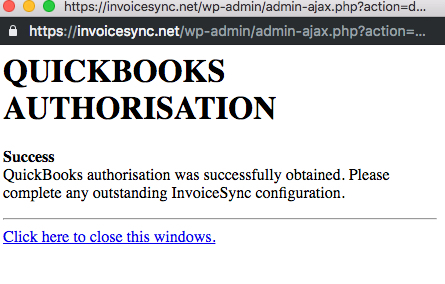 You’ll then see an authorisation screen showing your QuickBooks organisation name and InvoiceSync. If it’s the correct organisation name, scroll down to the bottom and click the green Connect button. You should get a message saying Quickbook Authorisation and below that, Success. (right now, you’ll need to close the authorisation tab when complete). You can watch a video on connecting QBO by clicking here. Once that’s done, you need to select the appropriate Taxable Product and Non-Taxable options, then click the Save Changes button. Go to the Settings -> Sync Settings menu option. If you’ve not configured this already, you’ll see the First-Time Settings screen. 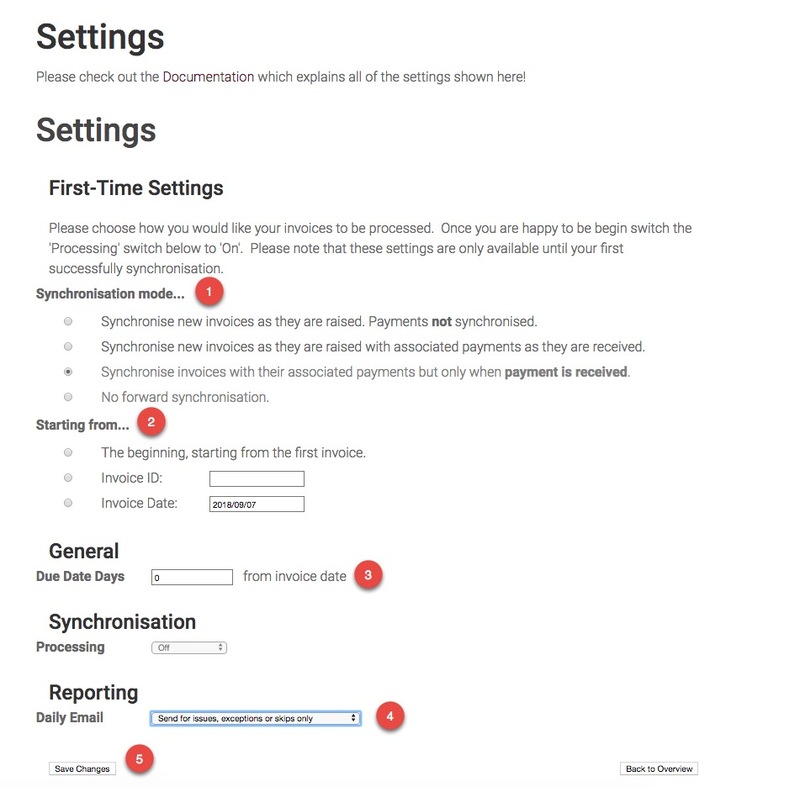 Select whether to synchronise just invoices or payments as well and if the latter, whether to synchronise invoices as they are raised or only when payment is received. Select when you want synchronisation to start from. All invoices newer than the selected invoice or date will then be synchronised automatically – so you can synchronise historical data if you want. You can choose to go right back to the first ever invoice, or select an invoice ID, or invoice date. Select the number of days that will be added onto the invoice date when creating a Due Date for the invoice. Select whether to receive a daily email or only receive an email for issues, exceptions or skips. We would recommend the latter. You must click the Save Changes button at this point before you can enable synchronisation. Finally, switch on Processing and click the Save Changes button again. Synchronisation will then begin automatically. 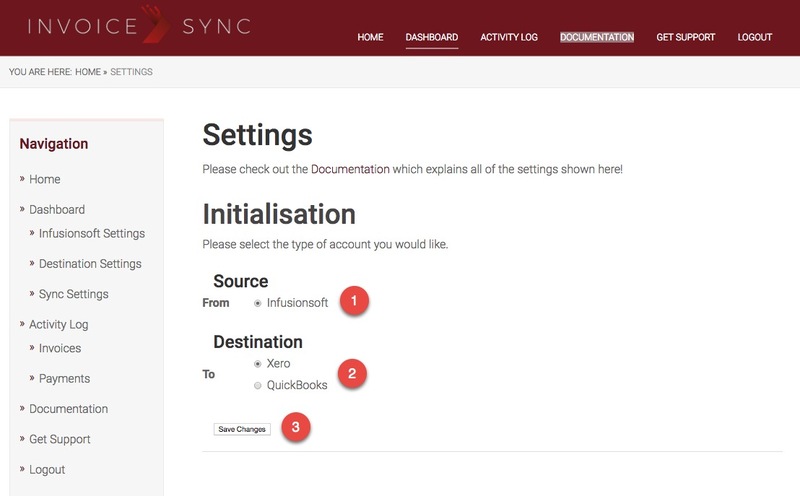 Once everything is set up and Synchronisation Processing is turned ON, InvoiceSync will connect to your Infusionsoft account once an hour, download the new invoices, and replicate them into Xero or QuickBooks Online. So every time a new invoice gets created in Infusionsoft, a matching invoice with the same line items, discounts, sales tax, etc., will be created in Xero/QBO within an hour. You can check what’s happened recently by going to the Activity Log page in your account. The invoice date will match the invoice date in Infusionsoft. If the invoice was paid at the time of creation (e.g. an online order paid by credit card), the due date of the invoice will be set to the invoice date. If the invoice contains a payment plan, the due date of the invoice will be set to the final date of the payment plan. Otherwise, the due date of the invoice will be set to X days after the invoice date, according to the configuration you have chosen in InvoiceSync. Invoice line items will be set to use the default account code you specified in the settings, unless you have created products in Xero that match products that exist in Infusionsoft. The SKU code is used to match products, and where a matching product is found, the invoice line items will use the account code as specified in the Xero product. Payments. This is complicated. We’re working on a simple implementation but there are no plans at this stage to include full-on reconciliation. If you have more than one Sales Account code and want your Xero invoices to automatically use the correct account code for each item, InvoiceSync can do this. Simply match the product’s SKU code in Infusionsoft to the item code in Xero. Please note that more than one product in Infusionsoft can have the same SKU code. 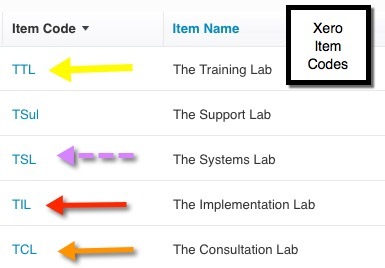 This will NOT use the Xero Item code or the item’s description, it will purely use that item’s account code, in our example 201 – The Implementation Lab for item code TIL. The product description in Xero will be the Infusionsoft Product Name. 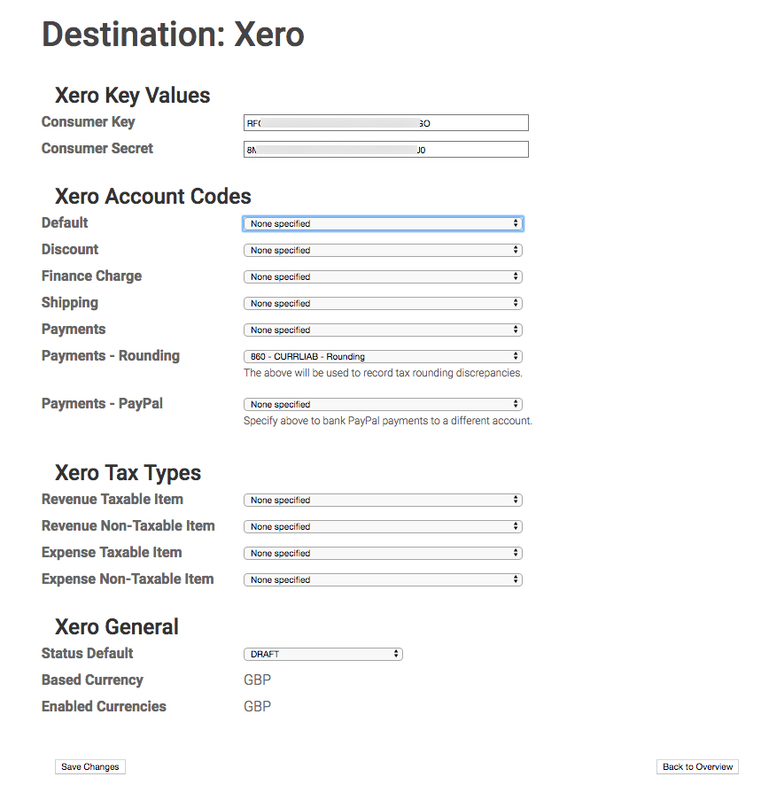 If you would like the Xero Item Code to be populated as well based on the Infusionsoft SKU code, please send an email to support@invoicesync.net asking us to switch this on for you. 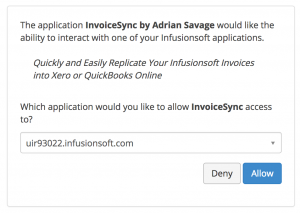 If you would like to sync from your accounting system to Infusionsoft as well as the other way, please send an email to support@invoicesync.net, stating the email address you use to log into InvoiceSync with and the date you want ReverseSync to start from.